Perfect service, friendly hosts. Its located on the hill right above Santa Quarantina. It offers beautiful and comfortable, cozy rooms same like in a hotel. Its look luxurious inside and tateful. The view is amazing, over the whole city. Every evening the sunset is fascinating. Lying on the bed in front of you is the whole cityscape. The owners of the apartment were very nice and friendly. Der Ausblick war wirklich wunderschön vorallem der Sonnenuntergang.Die Gastgeber waren so herzlich zu uns als wären wir Familienmitglieder. In der Umgebung gibt es viele Essens und Einkaufsmöglichkeiten.Das Appartment ist sehr modern und hat alles was man braucht. Saranda ist ein richtig schöner Urlaubsort. Piekny widok na morze, pokoje duze i bardzo czyste. Gospodarze mili i goscinni. Apartament duzo lepszy od hotelu w którym byliśmy przez pierwsze 4 dni. Godne Polecenia !!! Super. Kedvesek a házigazdák. Modern, kényelmes a szállás, nagyon jól éreztük magunkat. Bardzo czysto i schludnie, wszystko nowe i sprawne (klimatyzacja), fantastyczne widoki z balkonu na morze Jońskie, zabudowania i wybrzeże Sarandy. Na wprost widoki na grecką wyspę Korfu oraz port gdzie codziennie można obserwować promy i wodoloty kursujące po morzu. Wieczorem piękny zachód słońca. Wygodny bezpłatny parking przy obiekcie. Przemili gospodarze pomocni w każdej sprawie. Moja 5-letnia Nikola zaprzyjaźniła się z żółwią rodziną mieszkająca w ogródku przed wejściem do obiektu, miły dodatek podczas wieczornego odpoczynku po całodziennym plażowaniu. Lock in a great price for Villa Kea Mucobega – rated 9.5 by recent guests! Located in Sarandë, Villa Kea Mucobega provides accommodations with a TV. Complimentary WiFi is featured. A balcony with sea views is offered in every unit. Corfu is 24 miles from the apartment, while Ksamil is 7 miles from the property. 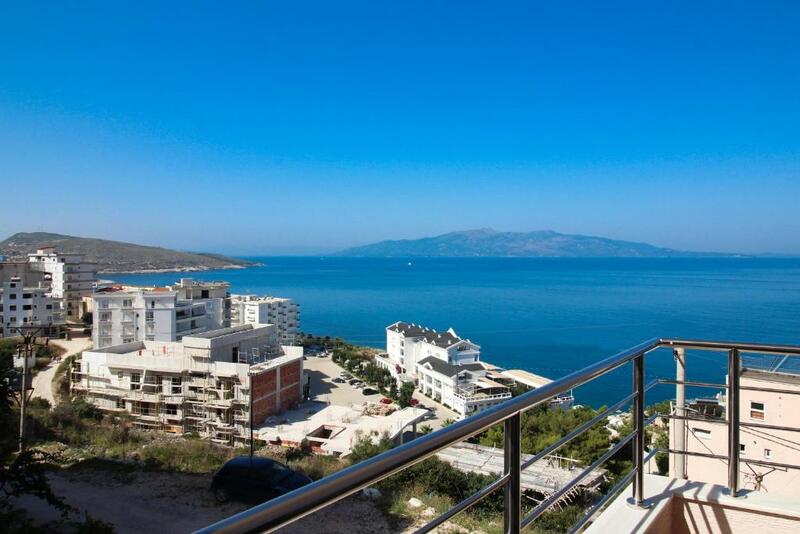 This property is also rated for the best value in Sarandë! Guests are getting more for their money when compared to other properties in this city. 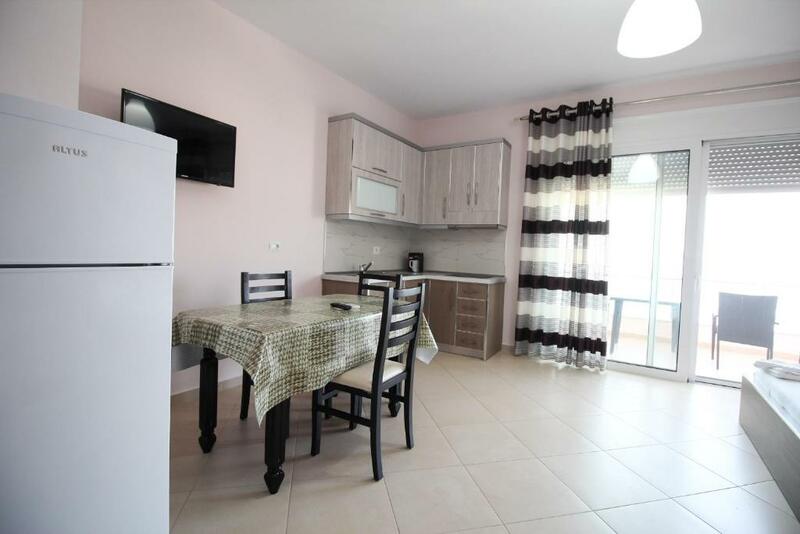 뀐 Located in the top-rated area in Sarandë, this property has an excellent location score of 8.8! When would you like to stay at Villa Kea Mucobega? This apartment has a balcony, view and dining area. This studio has a stovetop, view and dining area. House Rules Villa Kea Mucobega takes special requests – add in the next step! Villa Kea Mucobega accepts these cards and reserves the right to temporarily hold an amount prior to arrival. Please inform Villa Kea Mucobega of your expected arrival time in advance. You can use the Special Requests box when booking, or contact the property directly using the contact details in your confirmation. To get to the apartment, you had to go up a steep driveway.